A highway worker was providing traffic control with an arrow board in the back of a pick-up truck when he was struck by the truck. The semi sideswiped the truck and then rolled onto its side. Fortunately, no one was injured in this crash. We wanted to bring your attention to this crash because it is National Work Zone Awareness Week. Even though large trucks constitute 5 percent of the registered vehicles in the U.S., 30 percent of fatal work zone crashes involve a large truck. 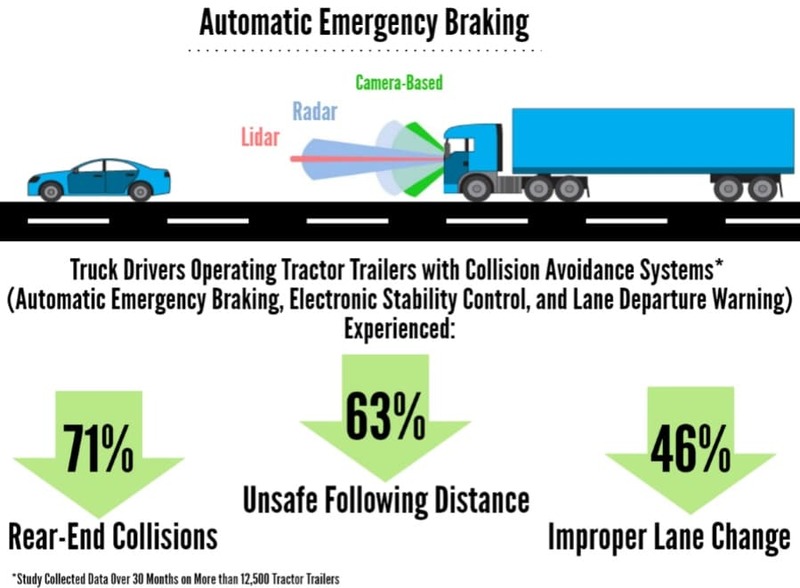 Too many work zone crashes occur because the truck driver cannot stop his/her vehicle in time, which is why TSC promotes collision avoidance and automatic braking on large trucks. After stepping off of the school bus and crossing the street, 10 year old, Olivia Walter, was struck by a box truck. Despite another motorist stopping and waving her to cross the street, a box truck that was approaching from the other lane hit her on the right side. The girl sustained a fractured bone above her eye and bruises and road rash on the right side of her body. TSC supports collision avoidance technologies that require automatic braking, which may have prevented this truck from hitting this girl.